A common consultation in our office is the “lump” or “bump” noted on a child’s head. Sometimes these lesions are noted at birth. Sometimes they are found incidentally during a daily bath or hair wash. They are often small enough that they simply are not noticed before. They can occur in many typical locations all around the head, the most frequent being along or just in front of the hairline, at the very top and middle of the skull behind the hairline, behind the ear, along the eyebrows or even between the eyes and the eyebrows. These bumps are most commonly a lesion called a “dermoid cyst.” They can occur wherever plates of bone meet, the so-called ‘suture lines’ of the skull. Skin elements (skin cells, hair, oil-secreting glands, etc) can get trapped within the grooves of the suture line and get covered over during pre-natal development (before birth) by the rest of the scalp. But even though those elements are trapped deep below, the tissue continues behaving in its usual way: skin cells shed, hair grows, glands secrete oils, etc. The result: a slowly expanding little bump. The cysts can grow rapidly, very slowly or virtually not at all. Despite their growth these cysts tend to be painless. Dermoid cysts can feel either soft and slightly compressible or can be "hard as a rock." This is because the amount of bone on either side of the lesion can vary in thickness and height. 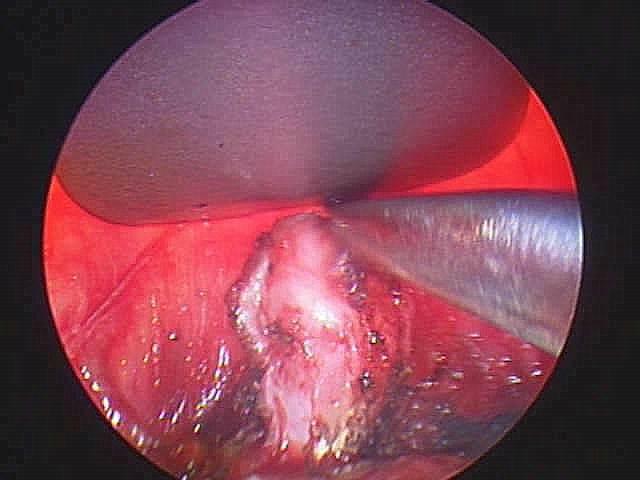 Sometimes there is little to no bony edge surrounding it; sometimes there is a generous cuff of bone that ‘climbs’ along the side edges of the cyst. In fact, when these lesions are removed, they often leave behind a small ‘crater’ in the bone with slightly raised edges. What is the Treatment for a Dermoid Cyst? Unfortunately, dermoid cysts don’t respond to any creams or medications and if treatment is desired, it involves a surgical procedure. Removing a dermoid cyst is one of the most straight-forward procedures we perform at Children’s Hospital Oakland. Dermoids sit directly beneath the surface of the skin and this superficial location makes them very accessible. Once the skin incision is made, which is typically 1-2 cm long depending on the size of the cyst, the cyst is immediately visualized. They possess a well-formed capsule that literally peels away from the underlying bone. Occasionally the "cuff" of the bony crater is shaved with a fine high-speed drill. The skin is closed with an absorbable suture so there’s nothing to cut later (the stitch falls off on its own). We use an endoscopic approach for dermoids on the forehead and over the eyebrows in order to avoid any visible scars. 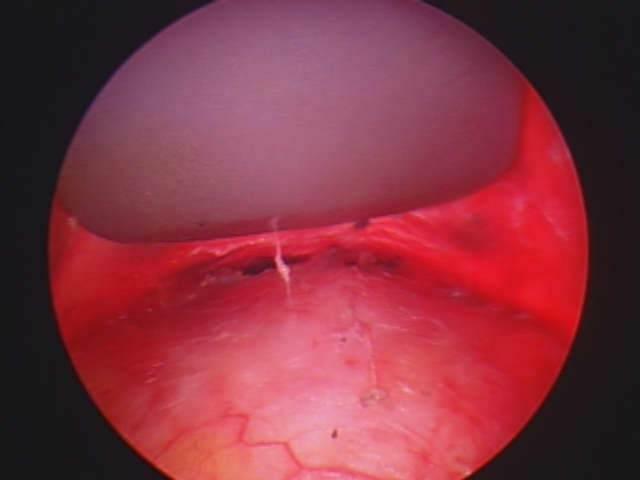 This is an endoscopic view of the forehead dermoid. The Incision for the endoscope is made behind the hair line to avoid a visible scar on the forehead. 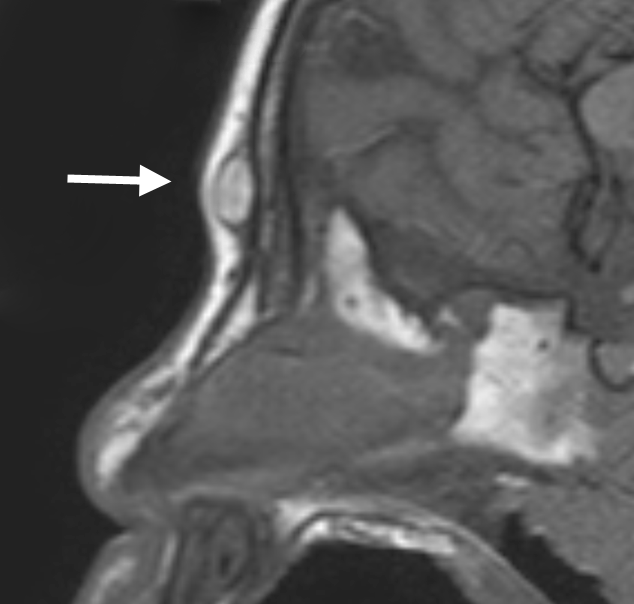 The arrow shows the forehead dermoid under the skin and the endoscopic retractor. By removing the dermoid endoscopically there will be no scar on the child's forehead. Dermoid cyst removal is a “Come & Go” procedure: it takes 30 to 60 minutes to complete and the patient is discharged home once they wakes from the anesthetic. Children heal very well and quickly after a dermoid cyst removal. The skin may be slightly sore the night following surgery, but the discomfort is similar to a scrape on the knee. (Children’s Tylenol is recommended if needed, but it rarely is). 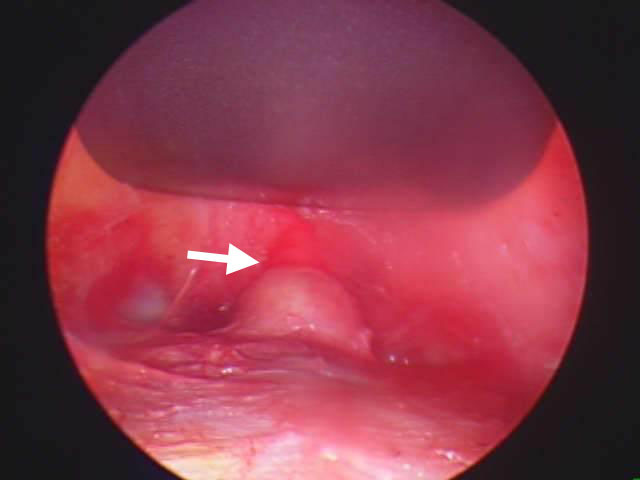 If a dermoid cyst is completely removed (and this occurs the majority of the time), they do not tend to recur ever again. Every cyst removed during surgery is analyzed by our pathologists to confirm that it is, in fact, a dermoid cyst. Other possible findings may include overgrowth of normal bone (hyperostosis), growths of fat tissue (lipoma) or neoplasm (tumors of bone, soft tissue, etc).